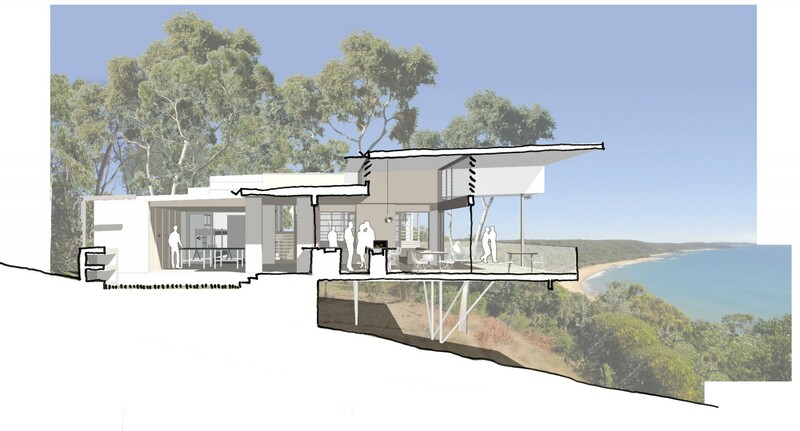 Holiday experiences, memories and stories, will unfold in the ‘outdoors’, around the captured landscape court, the arcade, the outdoor room and the verandahs which connect interior spaces in the living pavilion and the sleeping pavilions, on this spectacular North facing coastal escarpment. 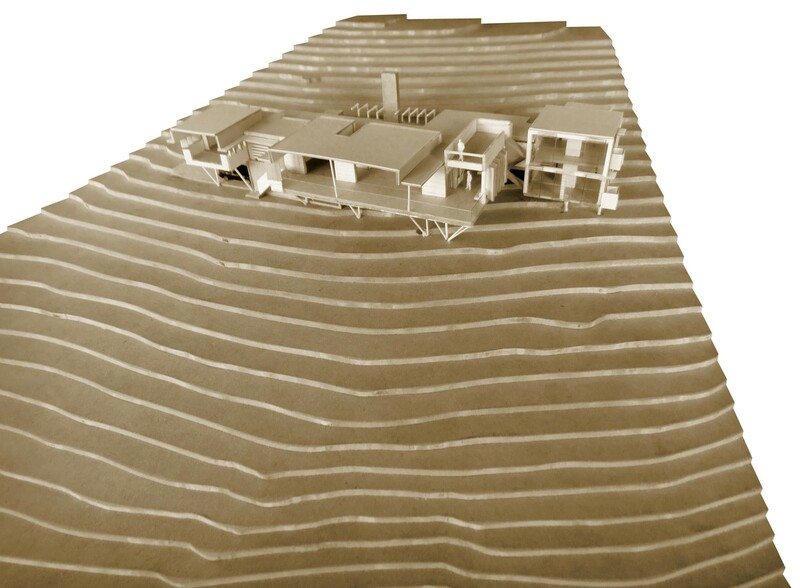 Establishing a home and a lifestyle on this spectacular coastal escarpment was guided by the nurturing qualities of permanence and refuge, forging an inextricable link between the landscape, ocean and sky. Approaching from the access track on the south and from the northern beach below, Springs Beach House is discreetly nestled into the natural topography, single story in height to ensure an understated privacy and in reverence to the spectacular landscape setting. 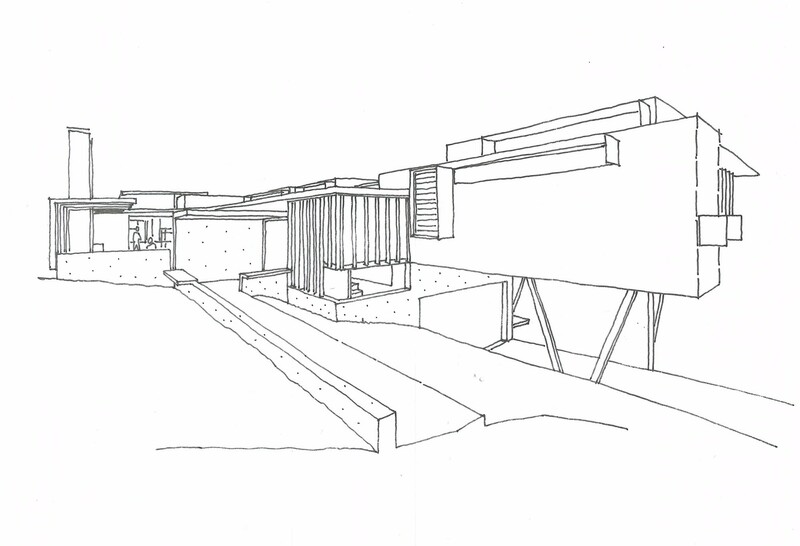 The functional requirements of the brief were separated into distinct spatial zones that act as pavilions, which are connected around the edges of the village square courtyard. This creates a loosely connected resort or village feel of a hillside lodge typology. The movement between pavilions is outdoors; connection to the land is paramount. In embodying all these qualities, the experience is reminiscent of a riviera hillside village or a Japanese temple. Like a timeless ruin, the courtyard sanctuary anchors the house between the shaded refuge of the coastal forest and the bright pristine stretch of coastline towards the headland at 1770. A connection to the landscape and nature at Springs Beach House is intimate and directly felt in its material palette: concrete, timber and glass. 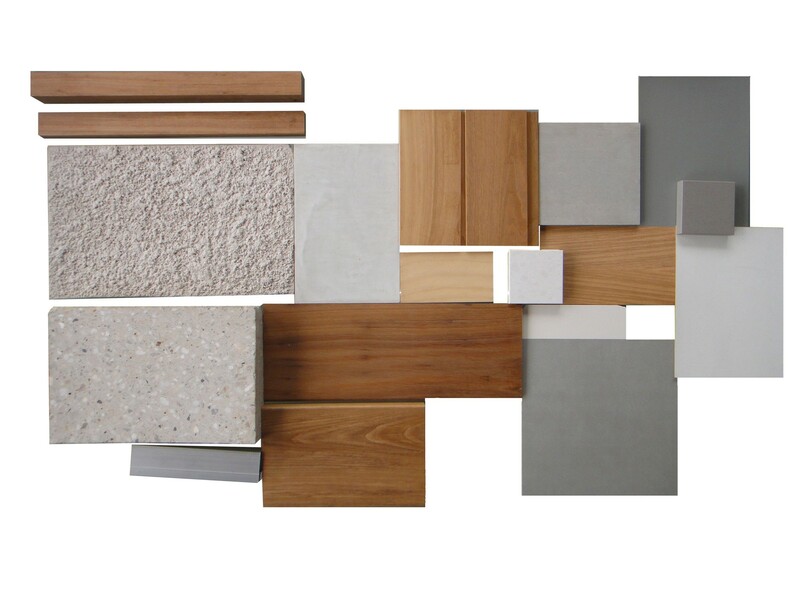 Textured cast concrete grounds the structure with monumental timeless qualities of being robust and earthbound, the Australian hardwood timber evokes a natural warmth, whilst glass features provide a light, floating, transparency in contrast. 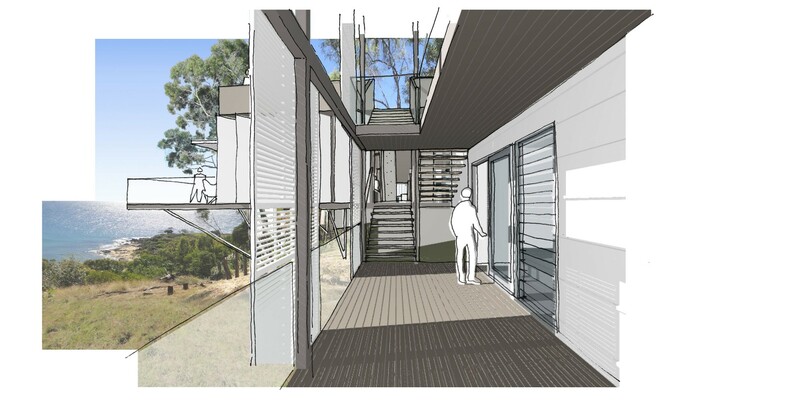 Engaging with the existing topography, orientation, views and vegetation, the house balances economy and fine detailing. It celebrates economical finishes, directness, authenticity, natural, textured and unadorned surfaces, which are embroidered with highly crafted timber elements and pieces. Surfaces, finishes and details exhibit authenticity and naturalness with the Japanese concept of ‘wabi sabi’: the beauty of things imperfect, impermanent and incomplete, allowed to weather and evolve with time. The property’s sustainable features boasts natural cooling and lighting systems that harness available breezes and the winter sun. 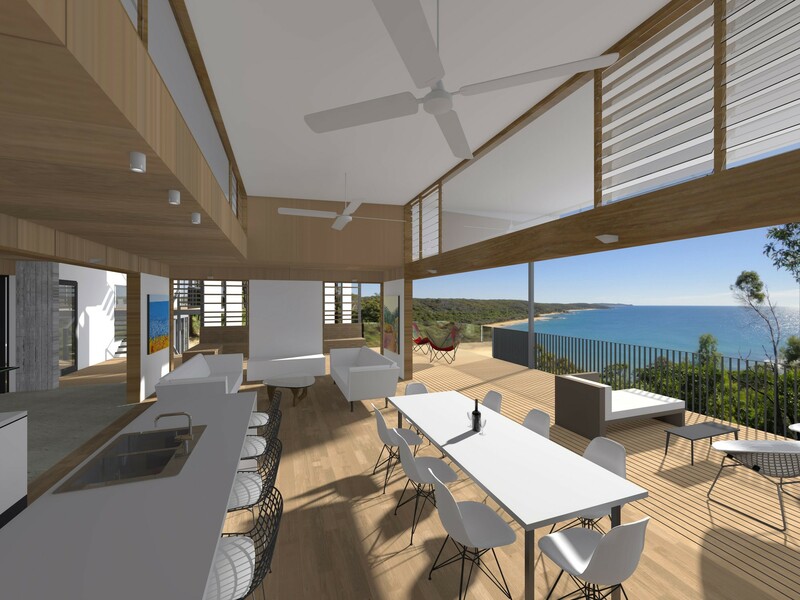 Furthermore the house uses locally sourced hardwood, plantation grown plywood lining and recycled Tallowood timber floors and decks, that are a low maintenance, drought tolerant, endemic landscape species. 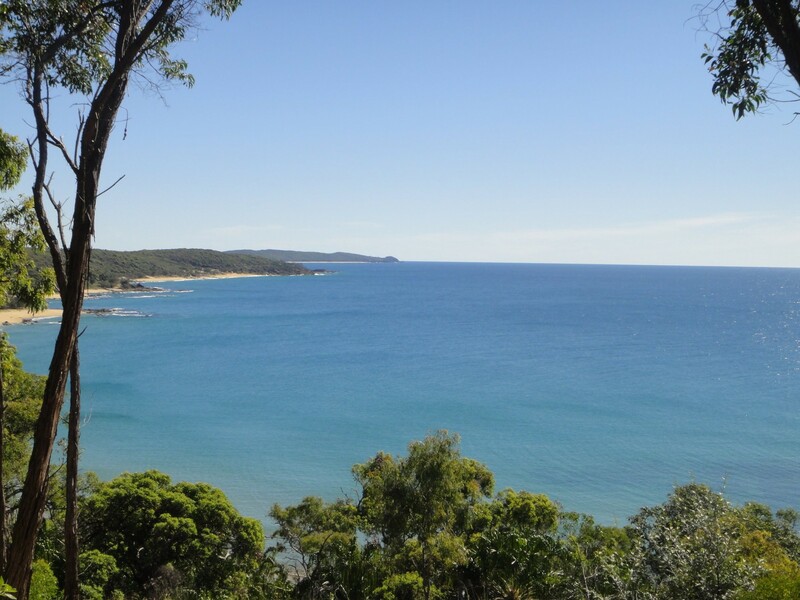 Holiday experiences in this beautiful coastal landscape, set in an environment designed for contemporary luxury living in the subtropics will leave a lasting impression of a coastal retreat completely at one with its place.